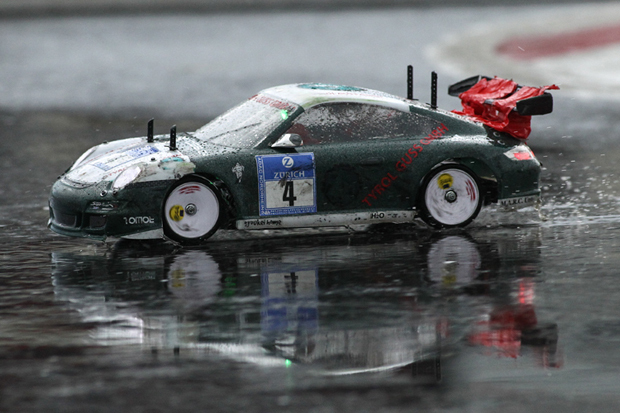 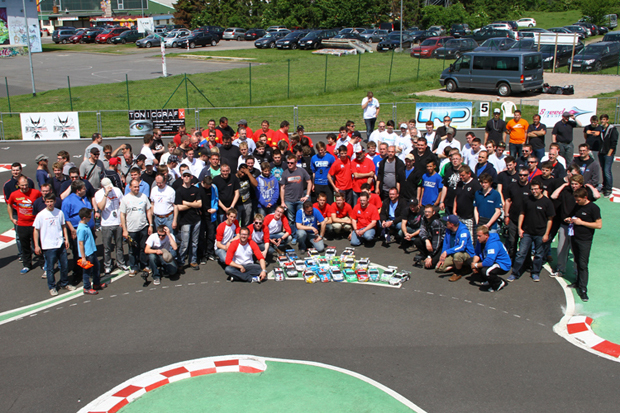 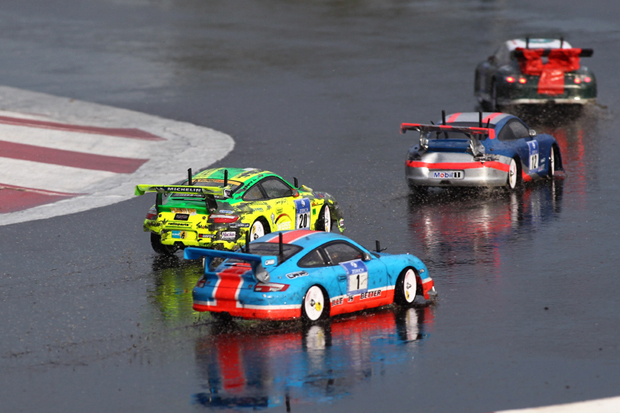 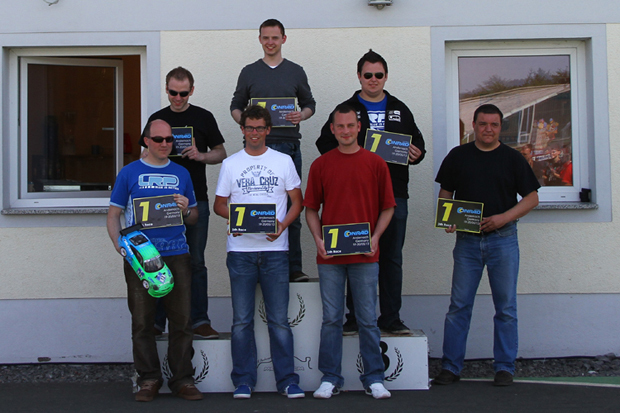 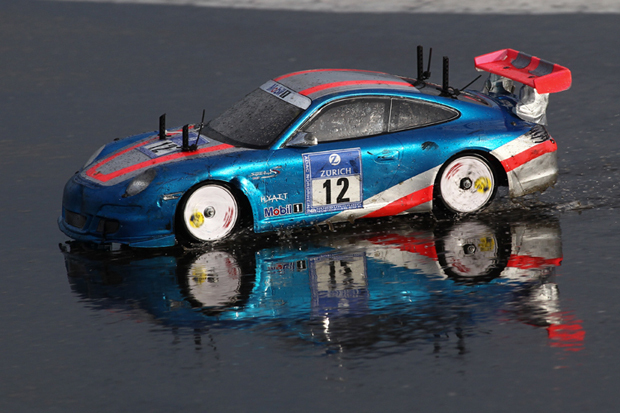 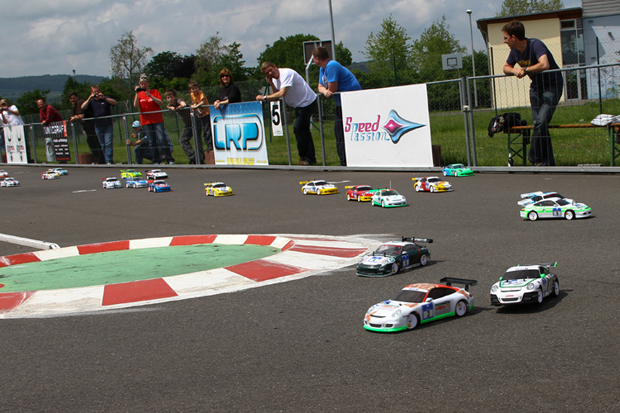 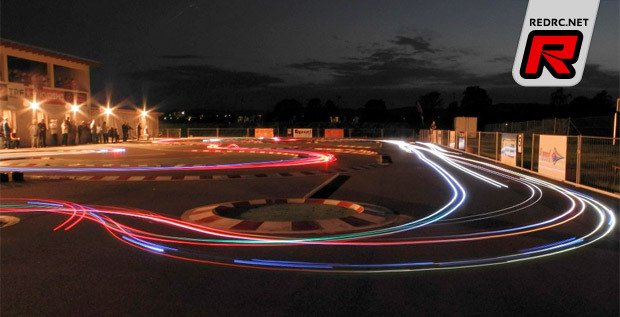 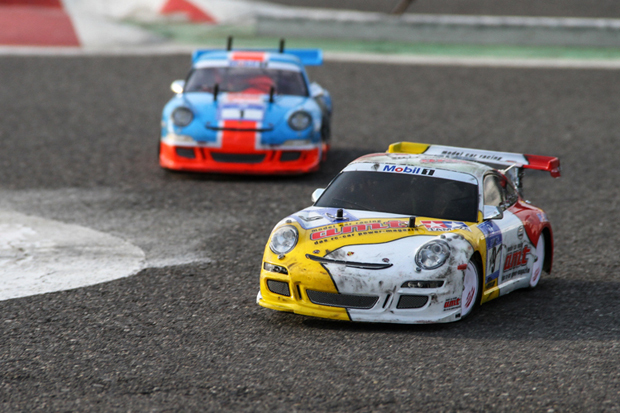 Thirteen years ago, Uwe Rheinard co creator of the Euro Touring Series, started his annual 24 hour endurance-race with 23 teams of Tamiya´s FWD VW Beetle and last weekend this year’s event took place, again with 23 team taking part. 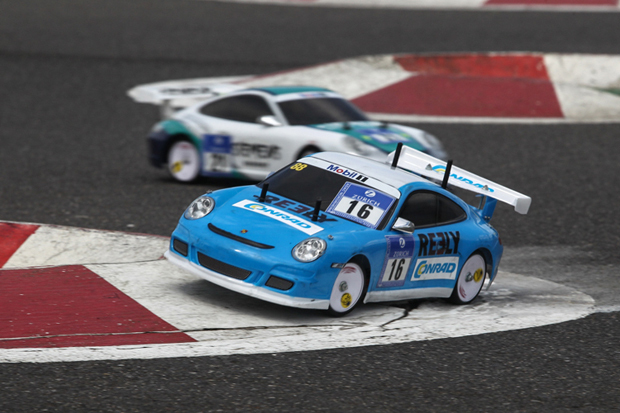 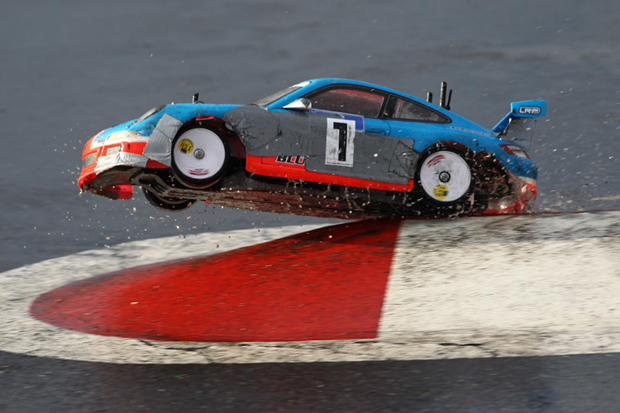 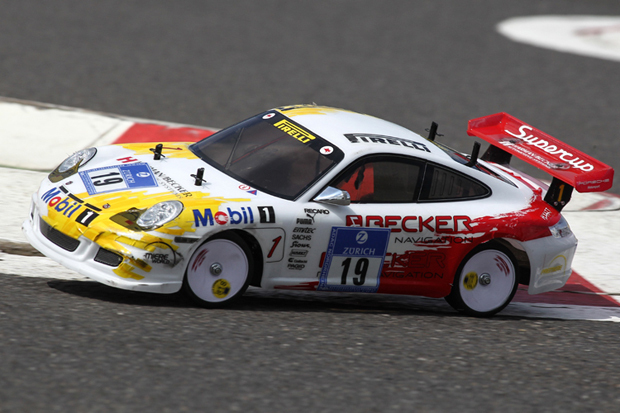 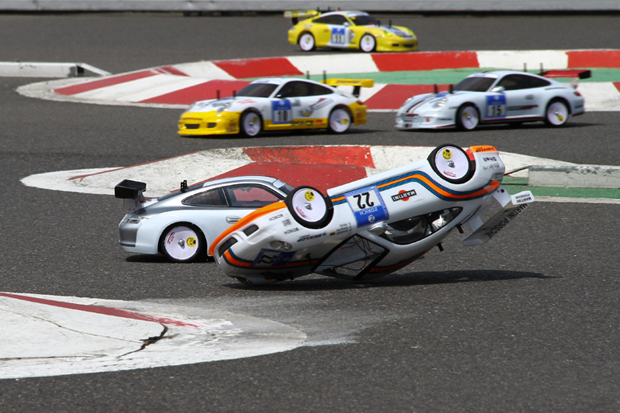 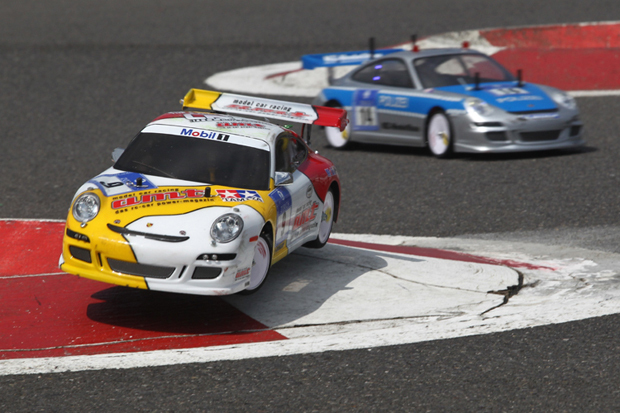 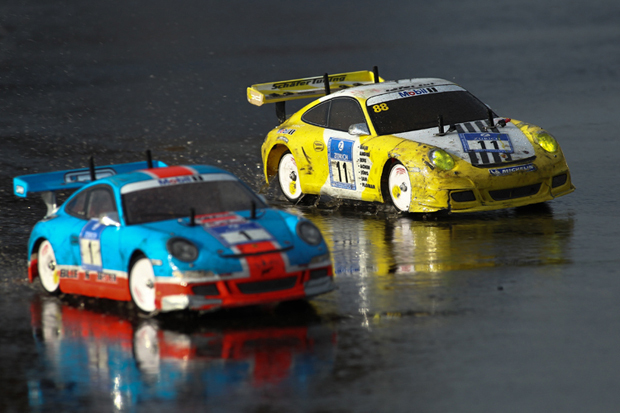 For many years Dickie-Tamiya Germany have supported this event with a special deal for Tamiya TT01 kits and everybody is certain that this is the only chassis to use for such a long distance. 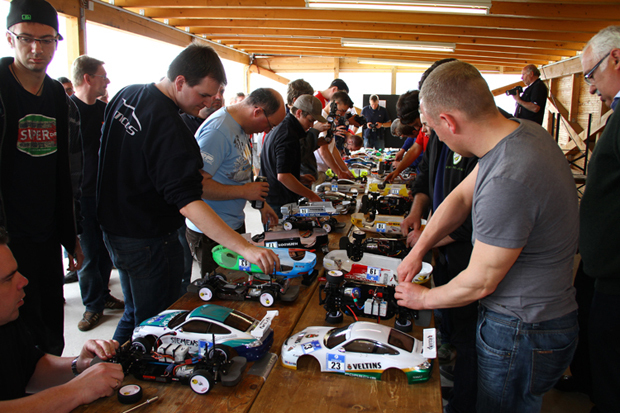 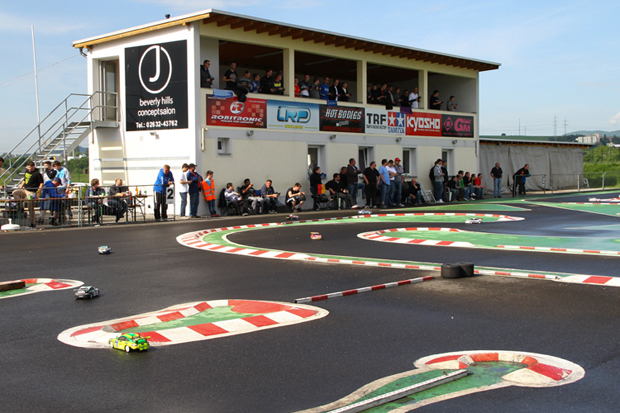 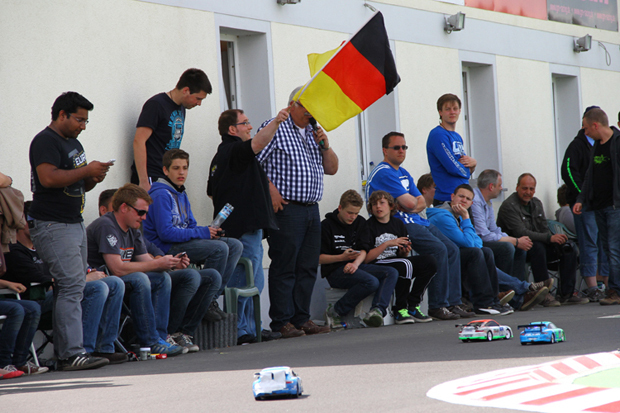 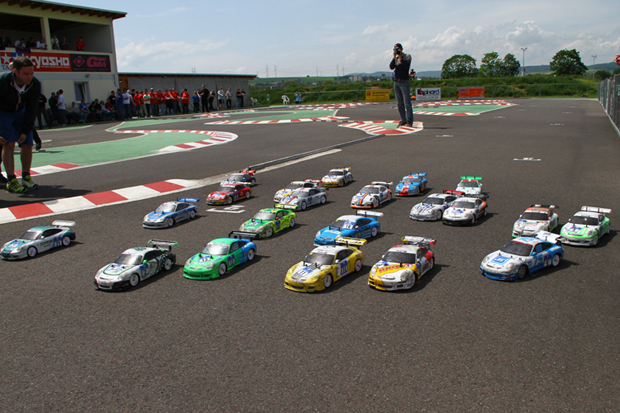 On Saturday morning every team got the Tamiya kit which had to built and after a short roll out the cars were placed in a parc ferme for technical inspection. 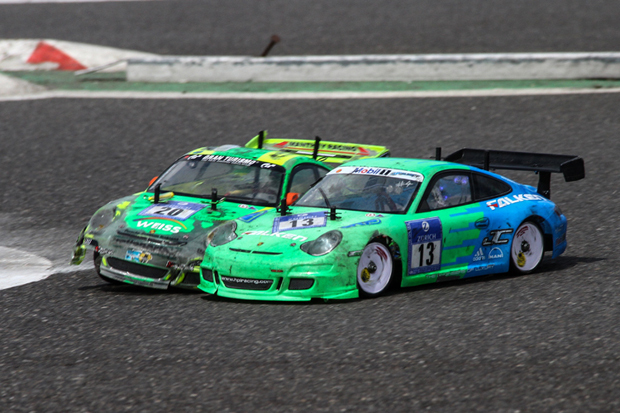 All cars ran with Porsche Bodies and all had to be painted like a real race car so the on track action looks the same as the legendary event at the neighboring Nurburgring which runs on the same weekend. 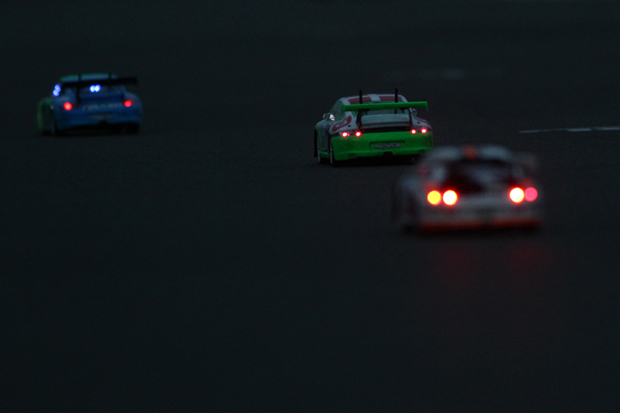 Every Porsche also has to switch on the lights when it gets dark. 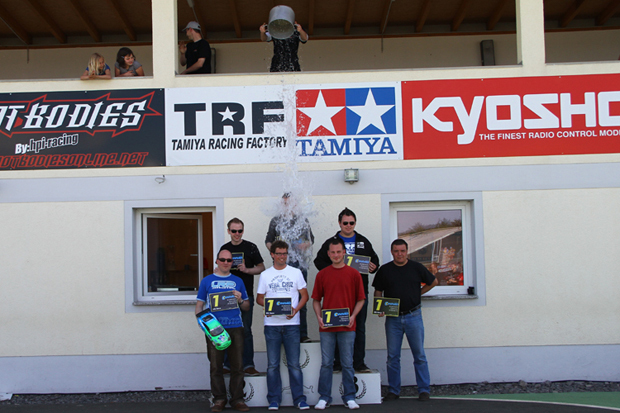 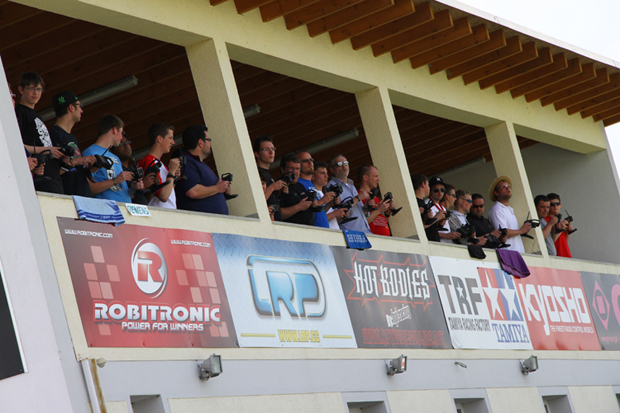 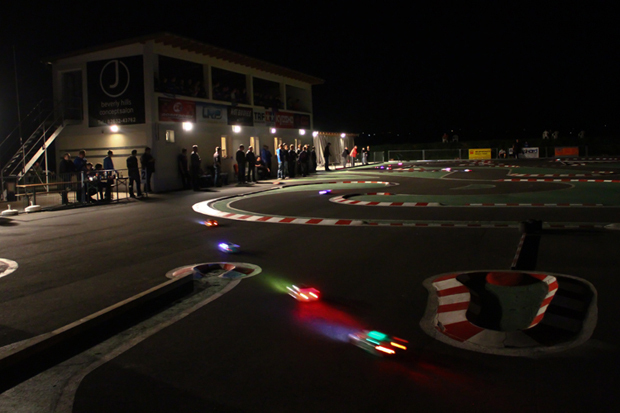 This year, Conrad Electronic supported the event with their 4000mAh LiPo batteries, which worked absolutely perfect. 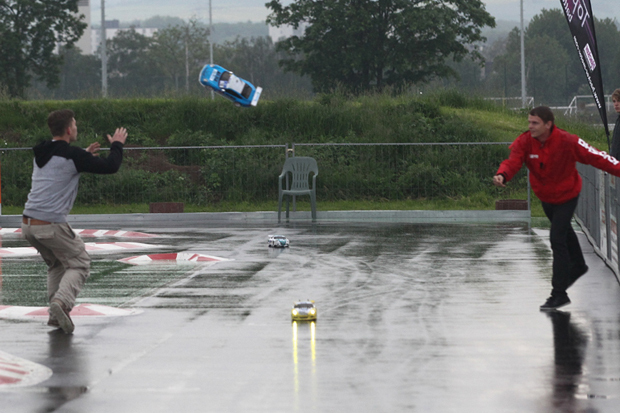 Every team had a maximum of 5 battery packs and for drivers, who felt the strain of 24 hours of racing, Conrad supplied a lot of their own brand Energy drink. 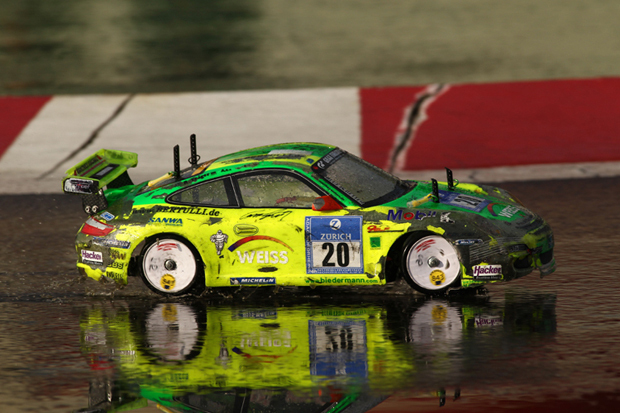 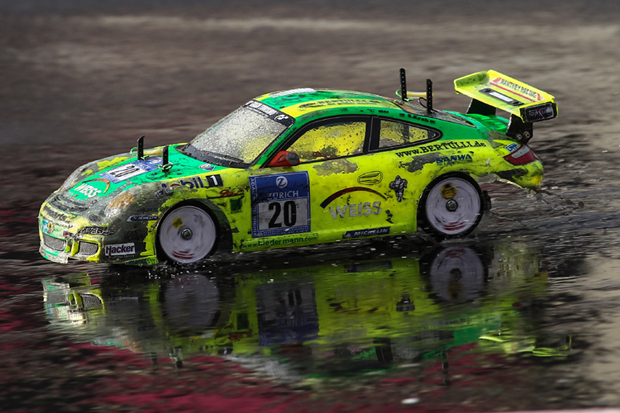 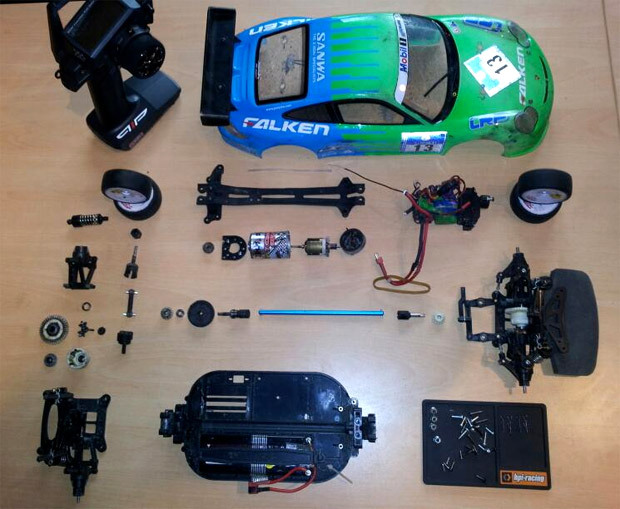 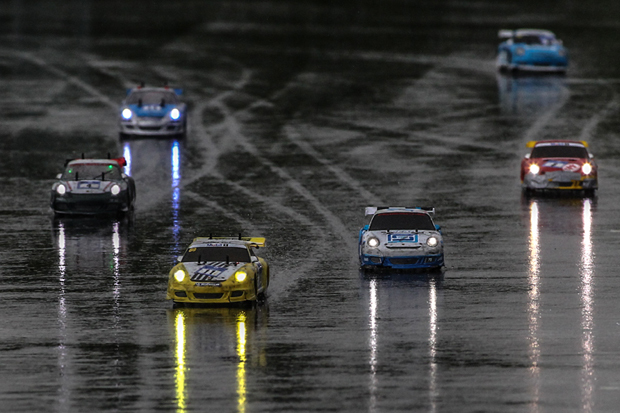 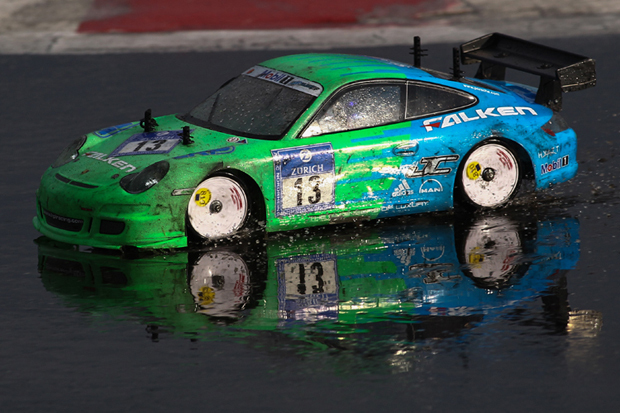 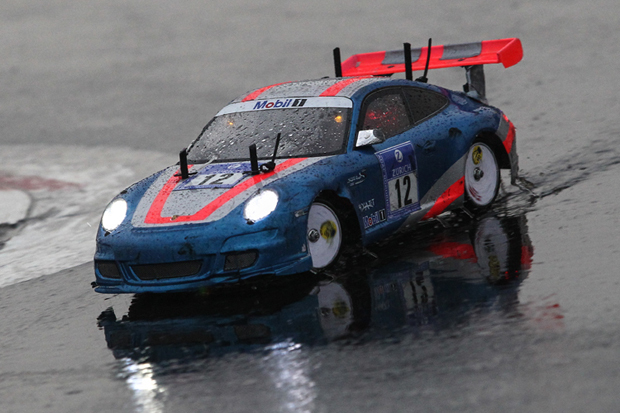 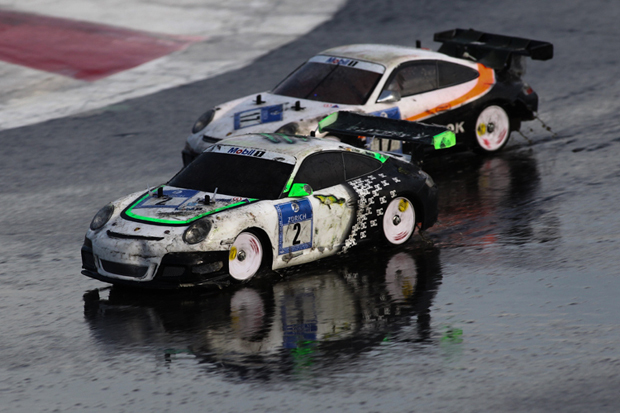 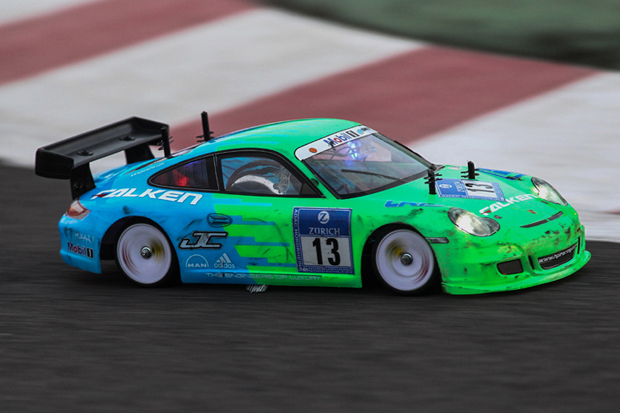 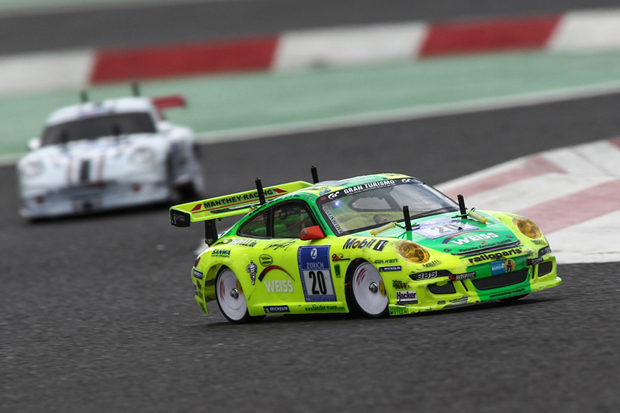 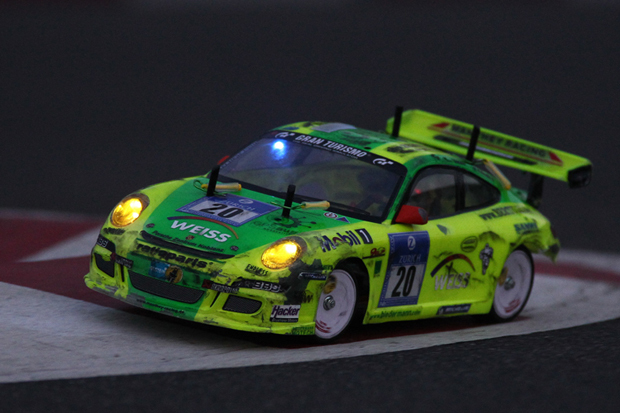 With 3482 laps, or 630km, team ‘Wilde 13’ won for fourth time in row with their Falken-Porsche. 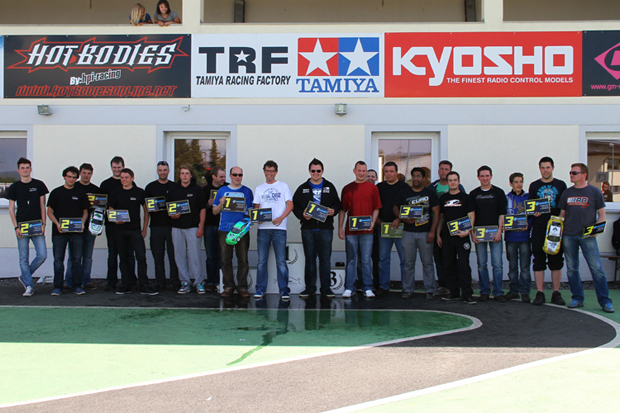 Only 2 sets of Ride 36 wheels and zero spare parts were enough for that awesome victory. 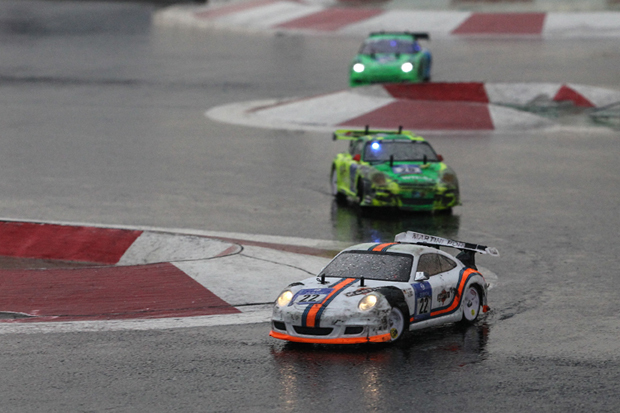 In the future, Uwe Rheinard is planing a European endurance Championship with a great final somewhere in europe. 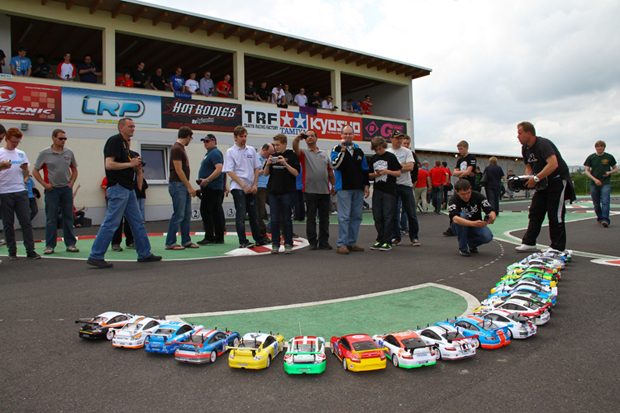 If you are interested in these 24 hour rules and in a European championship, please contact Uwe. 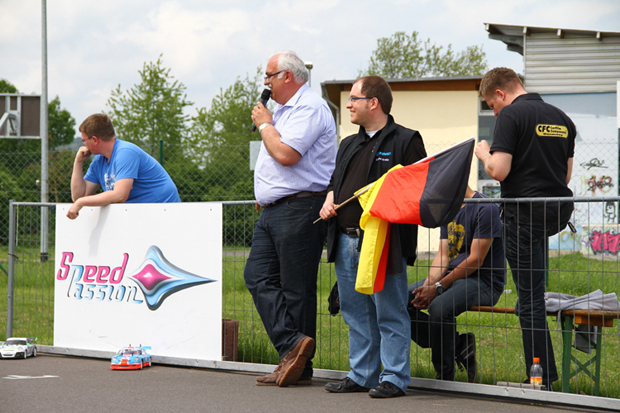 Action Photos by Jörg Wiessmann, other images by Dirk Träger.